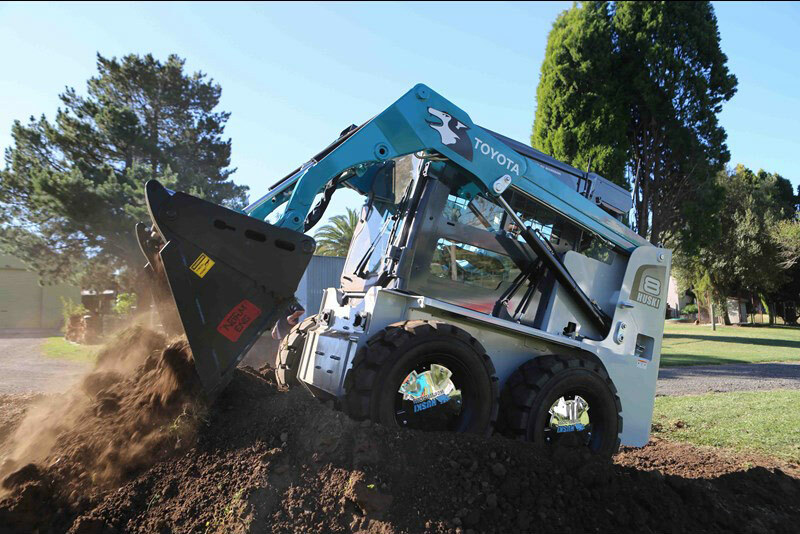 A waste collection and disposal service in Western Australia has been using a fleet of eight Toyota Huski skid-steer loaders to collect green and domestic waste. Steann Pty Ltd is based in the Perth suburb of Nedlands. The company’s fleet of eight Huski loaders and 19 trucks collects green waste, E-waste and rubbish from kerbsides throughout the Perth and south-western WA. After collection the waste is transported to the relevant sorting station. Company founder Jack Groote said the reliability and efficiency of the Toyota Huskis is outstanding. "I have tried other brands over the years, but the running costs were prohibitive," Groote says. The most recent addition to the Steann fleet is a 730kg operating capacity 5SDK9 model which will be the largest loader it has purchased. Steann says it chose this model to handle a larger purpose-made grapple for collecting fridges that was too large for its existing loaders. The company has used Toyota Huski loaders since 2002 when it purchased a 3SDK8 model and currently has several 4SDK8 loaders still in regular use after 10,000 hours service. Steann has formed a working relationship with Toyota Material Handling Perth (TMHP), who says the Huski models are perfectly suited to Steann’s heavy-duty waste disposal. "The renowned reliability of the Toyota diesel engines, hydraulics and drive system make them ideal for Steann's operations," TMHP sales manager Paul Smith says. This Toyota Huski 5SDK11 skid-steer loader is helping a NSW agricultural business get ahead.